Bollywood actors Bidun Binod Chopra said in the same manner that Manisha Koirala has played the role of ‘U.R. Sheet Actress’. At that time Manisha, who was able to break into such a harsh comment, was the only time Manisha to get married. But that comment has been stubbornly over Manisha’s mind. His story is changed within one night. That story Manisha said in the first light. Coming to the Dhaka Lit Fest, the Nepali-born Bollywood actress is in a private chat with the first light. Adar Rahman spoke to him with him . 1942: The first day of the audition of A Love Story. Acting in several commercial Bollywood movies, Manisha started thinking of herself as a ‘plastic actress’. 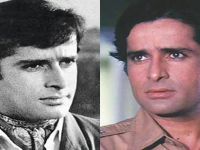 The smile-crying-love-dance-plastic of Dhundhuri was not getting the chance to enter the depth of the character in the Hindi film. So whenever Bollywood celebrity director Bidun Binod Chopra looks for an actress for a period drama film, Manisha runs away. 1942: Two pictures of A Love Story, Razza, wearing a sapphire sari, turned the road to Manisa’s life. Then one of them Manitaman’s Bombay, Dil She …, Mansoor Khan’s Akale Hum Akele Tu, Sanjay Lila Bhansali Ki Khamoshi acted in a film. December 10, 2012 Manisa is the lone night of life. What is mortal death, how terrible loneliness, how much of life is worth in one night Manisha understood You can know, the cancer is spreading from the ovaries (ovaries) to the body. The probability of living in stage three is only 44 percent. Monisha spent the night alone in a hospital in Nepal. Carrier then collapsed, the family was broken. The Bollywood actress told her experiences on November 10, in a session called ‘Hild’ on the last day of the Dhaka Lit Fest. With the experience of winning cancer, Manisha wrote a book in the same name. In January it will come in the market. Manisha went from Mumbai to India to Mumbai for treatment in New York, USA The surgery was initially removed and removed from the ovary. No one can taste the motherhood anymore, this reality too has to accept Manisha. Manisha Koirala got the opportunity to act in a Bengali film. Photo name game (2008). 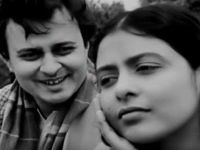 Renowned artist Rituparno Ghosh was the director. The Bengali film came in Bangladesh also. After playing, you can not see any other Bengali movie. – Yes, I’m lucky. At least one Bengali picture has been able to do. Even with a designer like Rituparna. He had more pictures with him. But we could not. When I was undergoing treatment for cancer, I did not know whether to live or not. On the other hand, we were looking for hope for a little bit. At the same time, I got the news, Rituda died. I broke up very much.